DJ SAM got to celebrate Ally’s 11th Birthday with all of her closest friends. It wasn’t just any regular pool party, it was a Pink themed pool party, and when we say pink we mean PINK! There were pink balloons, pink cupcakes, pink streamers, pink bikini’s and most importantly a pink cake. As Ally’s friends started to arrive we were chilling by the pool for their pool party and in the spa listening to come poolside hits, soon the vibe was happening and it was time to strut our stuff around pool, we played a game of Musical SPLASH, when the music stopped all of the girls had to jump into the pool and the last one to jump in was out, this was a tough game for DJ SAM to judge as they were all so quick to splash their way into the water, we took this game very seriously. The girls were like mermaids and fishes swimming in the pool and grooving along to the music. Every time a new song came on there was even more poolside dancing. 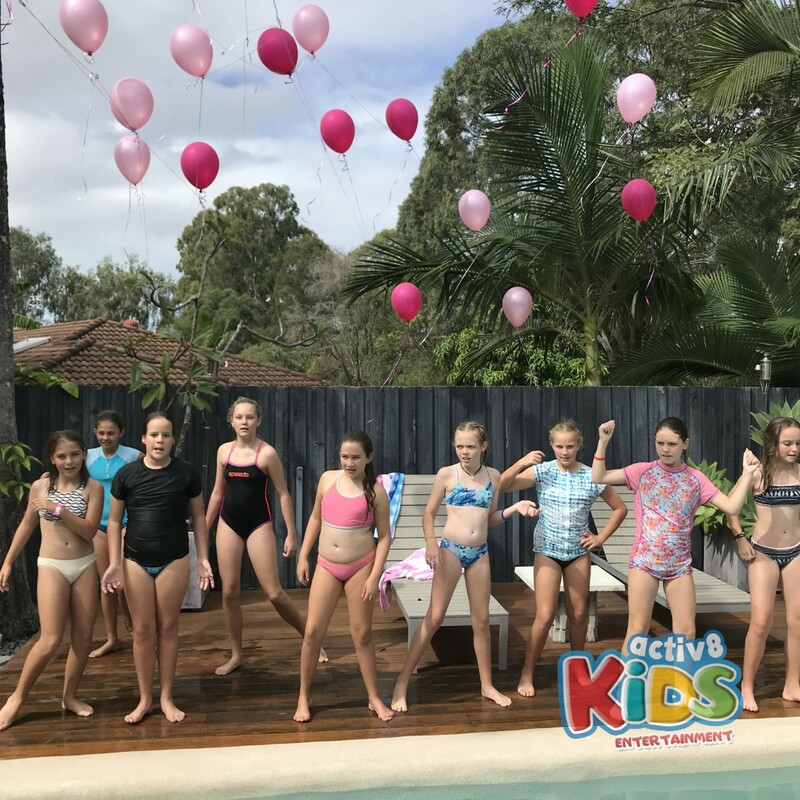 We played musical HANDSTANDS, every time the music stopped all of the girls in the pool had to hold a handstand under the water until the music came back on, again the girls were so good at this game we couldn’t judge a winner so everybody was the winner. 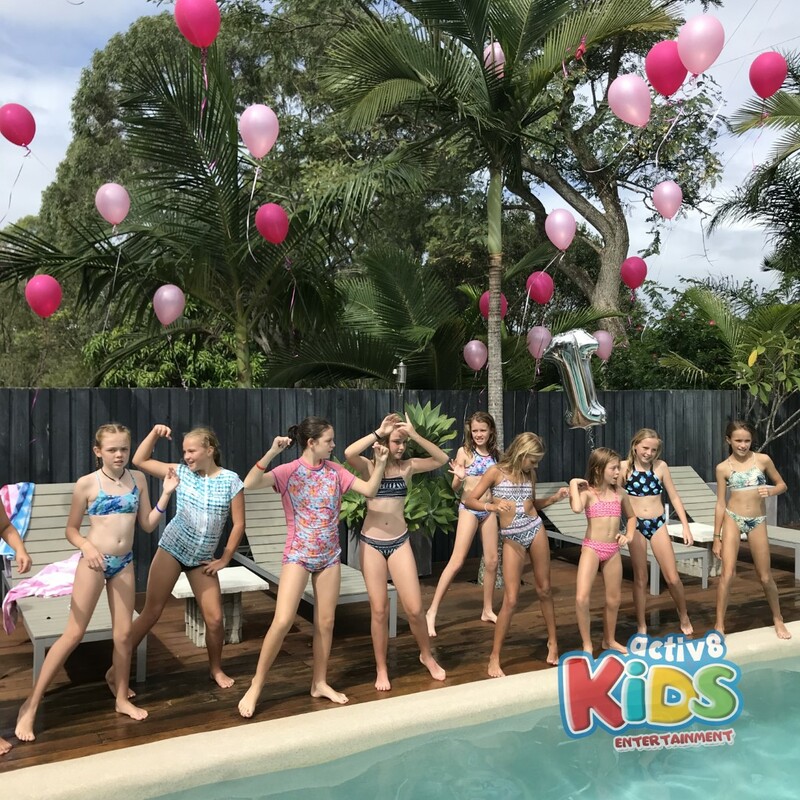 Ally and her friends had lots of requests throughout the party and DJ SAM was happy to play all of their favorite tunes, most popular tracks with lots of poolside dancing included Whip Nae Nae, Juju on that Beat, Rolex and New Rules. Ally’s favorite genre of music was rap and the birthday girl defiantly had a sing into the microphone in front of all of her friends. The most popular artist of the pool party was Nicki Minaj, all the girls breaking it down on the side of the pool. Bruno Mars was also a popular choice with lots of pumping, jumping, grooving and sliding on the decks. DJ SAM even showed off her poolside moves with some Cha Cha Slide, one of her favourite interactive songs to play at a disco. Some of the girls learnt this dance for the first time and loved it, even mentioning they wanted to do it on assembly at their school. All of the girls and even Ally’s mum and dad had a blast listening to music by the pool, dancing on the pool deck, singing into the microphone and back flipping along to the beat into the pool.